In celebration of the recent announcement that the U.S. and Cuba are embarking on a path of reconciliation, the great Cuban-American jazz pianist, Nachito Herrera, will give a FREE concert at Westminster Presbyterian Church, 1200 Nicollet Mall, Minneapolis on Sunday, January 11th at 4:00 p.m.
Westminster, the Minnesota Cuba Committee and many others have been involved in advocating for change in U.S. policy toward Cuba for many years. Westminster has partnered with a congregation in Matanzas, Cuba, since 2002 and worked closely with the Presbyterian and Reformed Church of Cuba on education and leadership development. Tim Hart-Andersen has traveled to Cuba 21 times over the past four decades and, at a recent White House event, spoke personally with President Obama about Cuba. 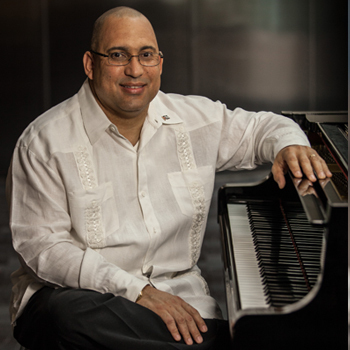 Ignacio “Nachito” Herrera combines classical music with Cuban rhythms and Latin jazz. He has been at the forefront of a renaissance in Cuban music. His musical career started at the age of 12 when he played “Rachmaninoff’s Concerto No. 2” with the Havana Symphony Orchestra. In the late 1990s, Nachito joined the famed Cuban Orquestra “Cubanismo” as its pianist, musical director and arranger, performing throughout Europe, the Far East, Canada, Central and South America and the U.S. He also toured as a member of the Afro-Cuban All Stars and continues to perform solo and with his quintet, Puro Cubano, and to teach at MacPhail Center for Music.